The first time I ever visited Hawaii, I stepped out of Honolulu International Airport and immediately locked eyes on not one, not two, but three rainbows stretched out above the tropical hills. I remember thinking, “You don’t have to try so hard, Oahu, I’m sure I’m going to love you.” And I did. The weather there is perfect, the beaches are amazing, and the whole island just permeates with a feeling of relaxation that’s unrivaled anywhere on the mainland. Which makes it a perfect spot for a destination wedding. Of course, Hawaii is also the most isolated of populated island chains in the world, so pulling off an amazing wedding is going to take a bit more elbow grease and planning than an average ceremony. Following are a few ideas to help. Before I move on to the how-to portion of a destination wedding in Hawaii, I think it’s important to say a few words about the expectations you might have when you’re planning your ceremony. Even when you throw a wedding in your hometown, you have to expect that some of your guests won’t make it. It’s just what happens. With a destination wedding, that number is going to be even larger and you have to be sure that you’re okay with the fact that some of the people you might want at your wedding won’t make it. Logistically, destination weddings can just be a lot more difficult for people to make arrangements for, or afford, so some you’ll more than likely be having a smaller ceremony than if you hosted it closer to home. It doesn’t mean people don’t care about your big day; it’s just that a destination wedding requires a lot more of a commitment from your guests. Make certain that you’re okay with that before you continue planning. As I mentioned, Hawaii isn’t close to the mainland, which means traveling there can be a bit trickier for some of your guests. You’ll want to make certain you’ve sent out your invitations early so that everyone has ample time to prepare. At least six months before your ceremony, you’ll want to send out “Save the Dates” for your guests. Be clear that you’ll need a response quickly from those people who are interested in coming. Get a good count of how many people will most likely be attending. You’ll also need to decide whether or not you’re going to help arrange the travel. The upside is, many airlines offer group rates, the downside will be it’s another thing for you to plan. Whichever way you go, however, it’s important not to let buying airfare go down to the wire. Do it early. Your next decision will be where you’ll have your ceremony. My feeling is, even if you’re going to do a simple ceremony on the beach, you’ll want to have some help in planning. A resort property like the Aston Waikiki Hotel will be a lifesaver. Not only do they have banquet and event facilities on premise, but they also offer concierge and event planning services. Even if you’re not planning on having the event inside or having a big hosted dinner, having someone IN Oahu to help you plan spots and dinners and the like will be great. Decide early whether you want a central spot where all of your guests will stay, or whether it might not be easier to let everyone plan their own accommodations. Many hotels and resorts will work with you and provide a group rate if you want to reserve a block of rooms. Another option would be to go through a service like AirBnB or VRBO, which allow you to rent houses or apartments directly from the owners. Keep in mind that though these options can be a bit cheaper, you won’t have anyone onsite who can help you plan your time on the island. Take some time to consider what will work best for your group. In order to make it legal, you’ll need a marriage license. You’ll also need someone who can perform the ceremony. Generally, you’ll want to make certain that you arrive in Oahu a few days before the ceremony to take care of the particulars. 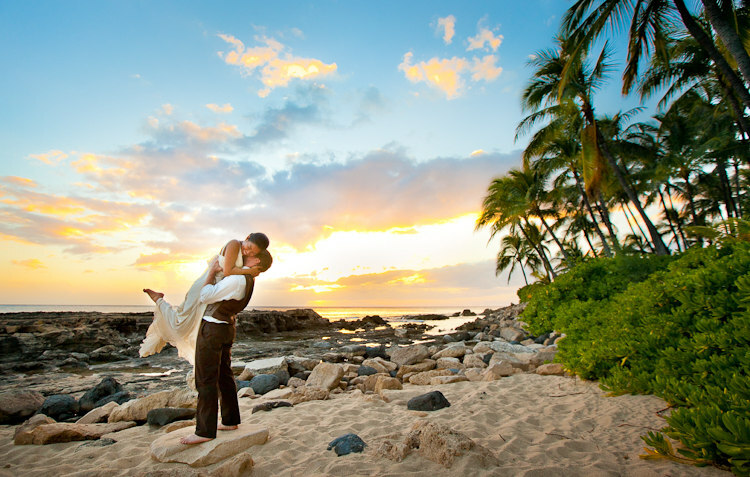 Hawaii also has permit requirements for weddings that are held on public beaches, so take some time to look over the nuts and bolts of making it legal in Oahu here. You’ll also need to decide who will perform your ceremony. If you have a friend or a clergyman who you would like to be the officiant, you’re going to need to pay for their airfare and lodgings. If not, perhaps you’ll want to make it legal where you live and then have a commitment ceremony in Oahu that doesn’t require having an ordained officiant. 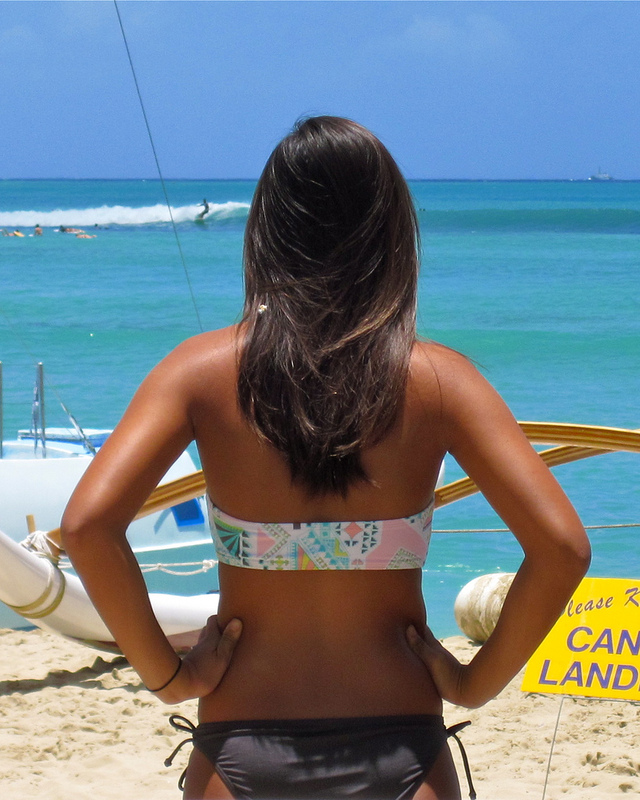 Most importantly, remember that Oahu is a place to relax. Keep it simple, hang loose, and unwind! About the author: Gogobot helps you plan the perfect trip. 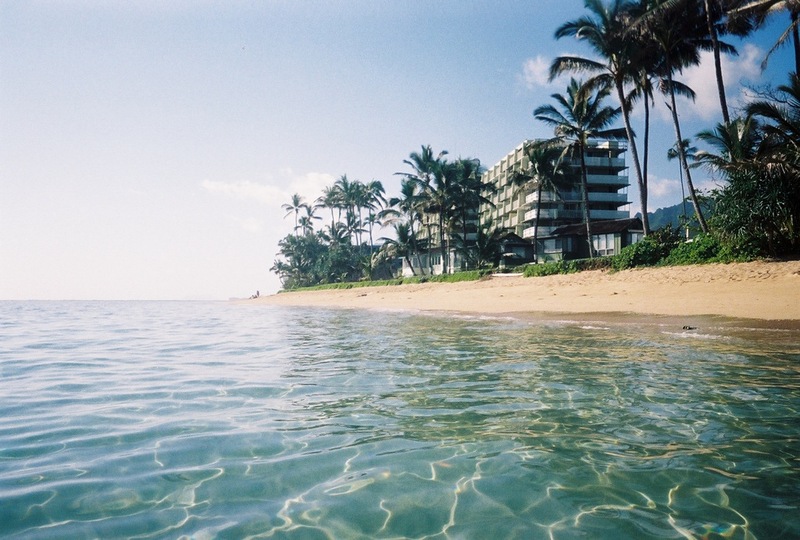 Whether you need a hotel in Oahu or are looking for more things to do, Gogobot has you covered.